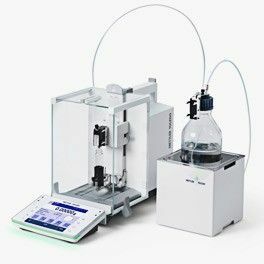 The Quantos powder and liquid dispensing solutions extend your analytical balances. Simply do more! Use the benefits of Quantos benchtop automation in your everyday processes: LabX Quantos allows you to profit from full traceability combined with the best repeatability in dispensing. The use of automated balances in integrated processes strongly increases the robustness of your processes. Gravimetric dilution Advance your dilutions to the next level using gravimetric technology. Using the weight for the dilution not only reduces all errors from liquid handling such as bubbles, but also makes the process full traceable without extra effort. 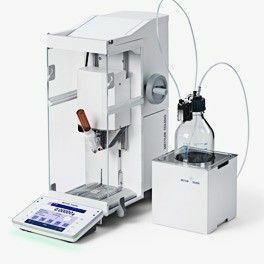 Gravimetric sample preparation Use Quantos automation modules with LabX to prepare standard and sample solution with the highest possible repeatability and accuracy. Automated filling Tired of filling vial after vial by hand? 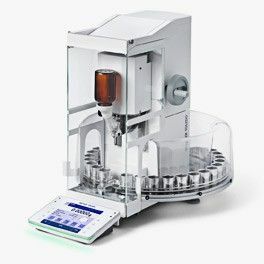 Simply use the Quantos powder dispensing unit with auto sampler and let the system do the filling. Each vial can even have a different target. Do you still fill capsules by hand? Do you prepare batches of samples by hand? • Communicate to all lab systems. Working from the instrument or PC and LabX will ensure that you are fully compliant with regulatory standards such as FDA 21 CFR Part 11. Use the services offered from METTLER TOLEDO for software verification (IPac) or full validation of your system with the Validation Manuals I & II. A sophisticated user management, electronic signatures and release process for methods and reports are additional handy features of LabX that support your daily reporting. Validation Manual I and II For software validation in accordance with regulatory bodies such as FDA, METTLER TOLEDO offers on site validation support with the Validation Manuals I and II. Validation Manual I offers the necessary documentations for vendor qualification and Validation Manual II for the validation of the software including installation and operational qualification (IQ & OQ). Regulatory Compliance The Regulation option of LabX server provides all the necessary tools to meet the FDA regulation (21 CFR Part 11) for data management and storage. All relevant actions taken at the instrument or PC are recorded in the audit trail of LabX for full traceability and flexibility, no matter where you work. LabX offers a modular licensing approach to meet your needs today and in the future. Choose the starter pack that suits your requirements and add optional licenses to match with your custom needs. 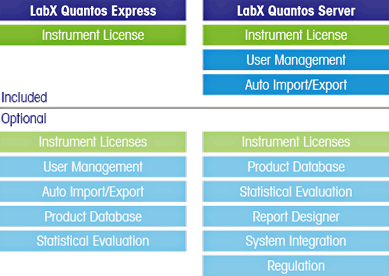 Integrate additional instruments to your LabX system by simply activating the relevant instrument licenses key in LabX. Define users (Individual users) and roles (Lab Technician, Lab Manager, Quality Control, Administrator, etc.) in the LabX® software. Access to functionality is based on the defined rights each user or role is given. Login to all your instruments and PCs on your LabX network with the same username and password. Simply define the export settings for your results and sample series for automated file creation in a defined directory. With a simple process, import your tasks and sample series automatically into LabX creating tasks or even start the analyses directly. Import and export data directly in CSV and XML formats. Exporting and importing was never more powerful and able to meet your needs. Manage product data centrally — run methods based on product data - e.g. incoming goods, raw materials, flavors & fragrances, etc. The operator simply chooses the product on the instrument and has all relevant SOPs and analysis regarding the product at their fingertips. The Product Database option allows the user to define products based on the given methods and even start tasks based on a specific product. The feature of statistical evaluations provides functionality to analyse how your process and measurements change over time. Your applicable process regulations can effortlessly be monitored, assisting in staying always under control. This option includes audit trail and e-signatures (releasing and signing) of methods (SOPs), reports, results, etc. electronic signature is possible via username and password. With the regulation option combined with the user management option, your system will be audit ready at any time. Bring your tasks directly to the instrument’s touch screen with bi-directional integration into your ELN, LIMS, or ERPs. Much more than just capturing data from an instrument, the LabX system integration option allows bi-directional integration. Centrally start and control tasks directly from your ELN or LIMS. These 3rd party systems are able to send tasks directly to the METTLER TOLEDO instrument touchscreen terminal. The Advanced Report Designer goes beyond the flexibility in the standard LabX report editor for completely flexible layouts. This advanced design of your LabX reports allows you to freely customize reports with all details and possibilities like charts, plots, and tables. One Click is Registered Trademark of METTLER TOLEDO in Switzerland, the European Union, Russia and Singapore. LabX is a Registered Trademark of METTLER TOLEDO in Switzerland, USA, China, Germany and a further 13 countries.